PDF Pattern for tree skirt featuring Cowboy Christmas with Mylar embroidery design collection from Purely Gates. This pattern will work with most any embroidery design collection. 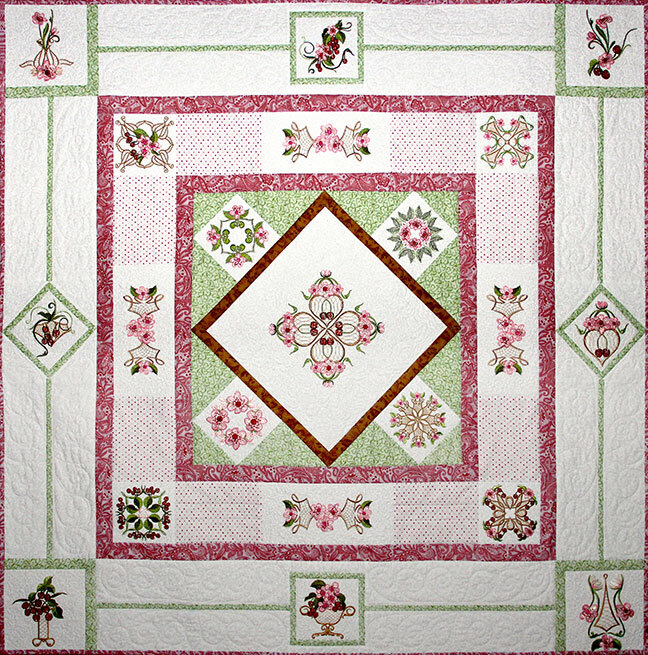 Finished size is 51" x 51"
Pattern for quilt featuring Mylar Cherry Blossoms embroidery design collection from Purely Gates. This pattern will work with most any embroidery design collection. Finished size is 58" x 58"
Pattern for quilt featuring Mylar Festive Flourish embroidery design collection from Purely Gates. This pattern will work with most any embroidery design collection. 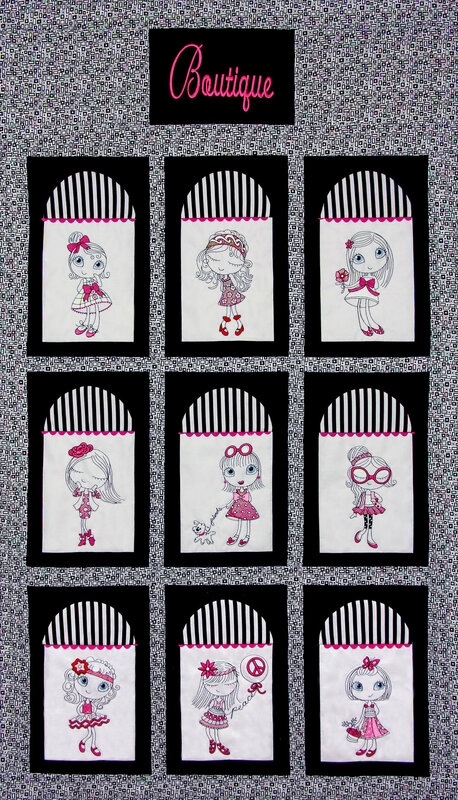 Finished size is 58" x 58"
Pattern for quilt featuring Mylar Femme Fatale embroidery design collection from Purely Gates. This pattern will work with most any embroidery design collection. Finished size is 13.5" x 49"
Pattern for tree skirt featuring Mylar Curly Santas embroidery design collection from Purely Gates. This pattern will work with most any embroidery design collection. Finished size is 38" x 38"
Pattern for quilt featuring Mylar Texas 2 embroidery design collection from Purely Gates. This pattern will work with most any embroidery design collection. Finished size is 48" x 60"
PDF Pattern for quilt featuring Mylar Curly Elephants embroidery design collection from Purely Gates. This pattern will work with most any embroidery design collection. Finished size is 32" x 36"
Pattern for quilt featuring Mylar Paisley Peacocks embroidery design collection from Purely Gates. This pattern will work with most any embroidery design collection. Finished size is 38" x 46"
Pattern for quilt featuring Decorative Cats Mylar or Applique embroidery design collection from Purely Gates. This pattern will work with most any embroidery design collection. Finished size is 53" x 53"
PDF Pattern for Texas Tote featuring Mylar Texas Postcards embroidery design collection from Purely Gates. This pattern will work with most any embroidery design collection. Finished size is 11" x 12" x 2"
PDF Pattern for quilt featuring Mylar Unique Chic 1 embroidery design collection from Purely Gates. This pattern will work with most any embroidery design collection. Finished size is 30.5" x 53"